Home » Public Interest » And will there be a dawn raid to arrest the culprits? And will there be a dawn raid to arrest the culprits? Lessons never learnt, it would seem. 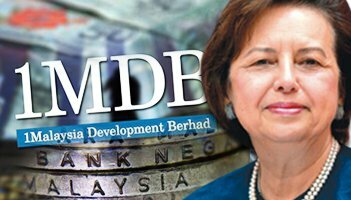 Bank Negara Malaysia governor Tan Sri Dr Zeti Akhtar Aziz was clear on the issue of banking confidentiality when she said in 2012: “The confidentiality of customer information is clearly protected by the Banking and Financial Institutions Act 1989 (BAFIA). ” Speaking at the height of the banking leak issue involving the National Feedlot Corporation, she said it was only when there was a suspected offence or if there was a court order or when a customer had given consent, relevant law enforcement agencies were authorised to obtain information. This information must be obtained through Bank Negara, and if it says there is no foundation for it, the information will be denied. It is an offence for any bank officer to disclose any information relating to the account of its customer, and banks have in place controls and processes to ensure compliance. The issue of banking confidentiality has cropped up lately in the wake of the 1Malaysia Development Bhd saga. How the central bank deals with the issue remains to be seen. Zeti has to ensure that the confidence in the country’s banking and financial system remains sound and that any breaches of the rules are dealt with. It is of vital importance that the sanctity of confidentiality in the banking system is protected at all times. There must be complete faith from customers. Confidentiality is the cornerstone of a solid financial system. Any leakages, no matter how well intended, will certainly create distrust in our banking system.